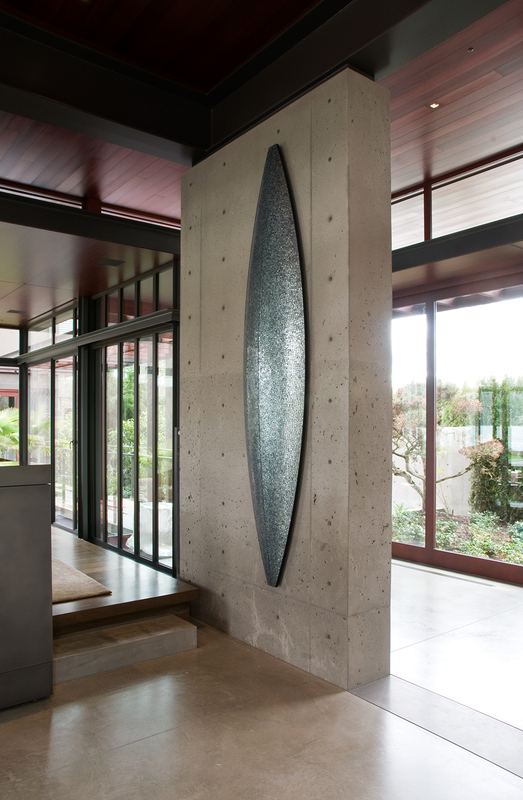 Two Vessels consists of two boat-like forms, which appear to float 1" from a concrete column, facing each other across the room in a private residence. One vessel is concave and covered in yellow/gold hand-cut pieces of glass, representing the morning. The other vessel is convex with glass in shades of blues and grays, representing the evening. 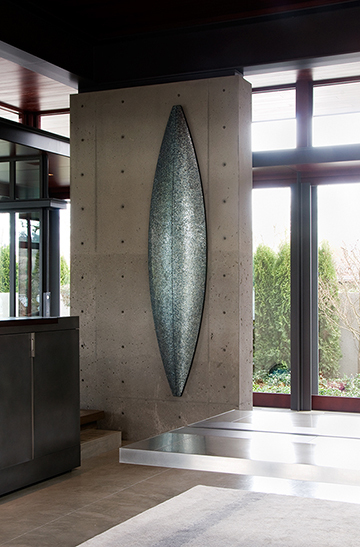 This piece is installed in a new residence designed by Jim Olson of Olson Kundig Architects.